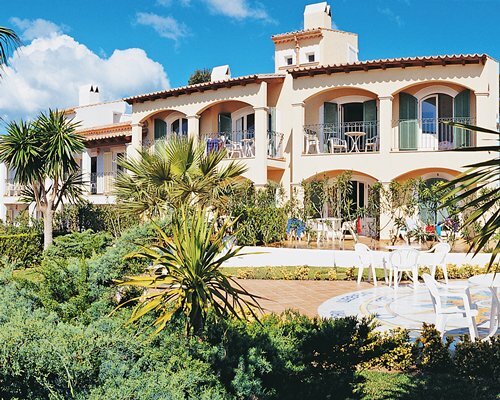 Timeshare at Aucanada Club has a Spanish village atmosphere and features three luxurious pools plus a children's swimming pool, you can play volleyball, archery, or for the more energetic you can work out in the gym, or simply have quiet time in the Jacuzzi. 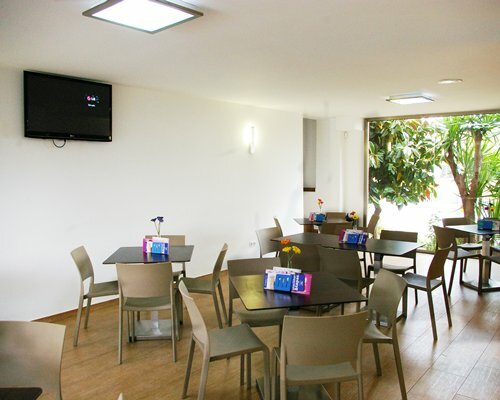 Guests can also enjoy sitting in the lounge and tropical gardens and have a drink in the comfortable bar and restaurant. The staff at Aucanada is always eager to please and welcomes you to enjoy all the comforts and pleasures of this world-class resort. 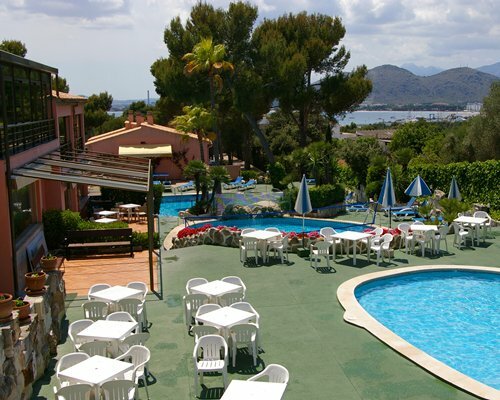 The nearest village to the Resort is the beautiful coastal city of Puerto Alcudia, home to one of the world's greatest sandy beaches. Along the white sandy coastline, you can enjoy an array of water sports under the Spanish sun. Spend your day's windsurfing, cruises along the coast, sports fishing, snorkeling in the crystal clear ocean or diving. Why not play a round of championship golf or a game of tennis or simply frolic with the children at the fun-filled Aqua Park. The Aucananada Club is also just minutes to quaint monastery villages. In the city of Palma, you will find fine dining, bistros and trendy nightclubs, cultural attractions and exclusive shopping. 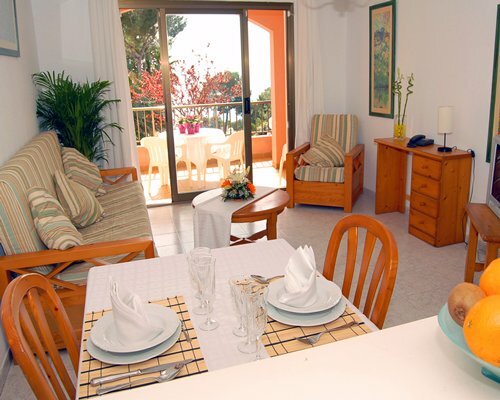 The Resort's luxurious villa apartments are spacious and stylishly furnished. All the units feature air conditioning, fully equipped kitchens, and microwaves, washer/dryers, iron and ironing board, hairdryer, TV, telephone, music systems and breath-taking panoramic views from your balcony or patio. The choice of two and three bedroom apartments is comfortable and provides plenty of storage space. Some units come with a fireplace.